13th September 2018 / by Lucia Y. For colleges, universities or schools to create an own messenger is soon becoming a necessity. To do a better job of notifying students or parents of everything school-related, a communication system will save time and provide more immediate, thorough engagement with your community. And the creation process of your school messenger can be rather easy with Zangi. A school messenger can be used for communication be it calling or messaging between parents, students, school staff, parent-teacher, teacher-student and more. With Zangi you can also successfully integrate your messenger with much more messenger features helpful for schools – including notification systems, attendance systems, homework and grade delivery, school payments and more, giving parents an easy, simple way to access all the school info they need. 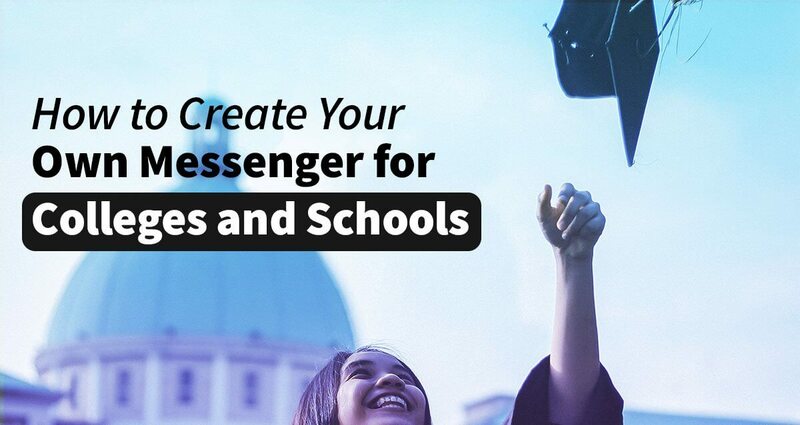 By creating your own school messenger, all notifications and communication can be combined into one place, cutting print and postage costs, avoiding time-consuming calls and manual updates, and making the process very easily manageable. When you create your own messenger app will allow parents to stay up-to-date with all aspects of their child’s progress, such as attendance and achievements, and always be informed about emergencies anytime, anywhere. And even language issues can be fixed, with the integration of different languages and notification translations. College students can socialize, communicate and study with each other using a private messenger created for the university. All college procedures and notifications can be sent through the application. Professors and staff can send out notifications, assignments, etc. With Zangi you can also even integrate a grading system, an assignment submission system and even a digital wallet for college payments. You can even create your own messenger with different groups for different classes, sports, clubs etc. To get started with your own school messenger, all you need is a list of features you want to see, and Zangi will figure out how to put it all together. The great thing is that you don’t have to hire a whole team of developers to get your messenger up and running, everything will be done for you (development, design, and even support, if requested). Zangi messenger solutions team is proud to be a signatory of security requirements. If you’re looking for a system to maintaining strong security and data privacy, look no further. When you choose Zangi White Label Solution for your school messenger development, you’re gaining a partner that will be with you for the long term. From the beginning of your app’s development to ongoing maintenance and support long after your app launches, we’ll make the process of how you create your own messenger as easy and painless as possible.